It can help you change your life forever. Christmas and New Year’s are my favorite times of the year. 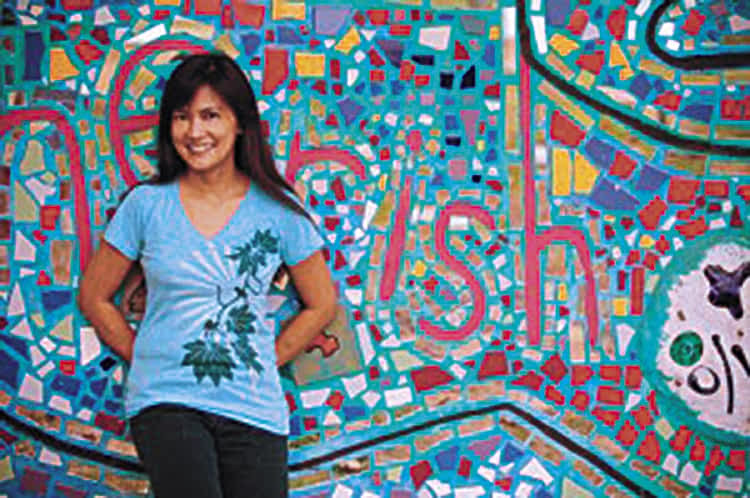 I love talking story about Christmas, both Christmas in the Philippines and Christmas on Maui. I also love talking about New Year’s because it’s a new beginning—a chance to start fresh. Since many of the articles on this December issue will focus on Christmas, I decided to talk about New Year’s, specifically this one tradition I had been doing for myself. This tradition is about choosing “one word” to guide me for the coming year. 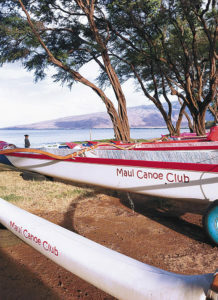 Liza joined the Maui Canoe Club in response to her word for the year. For the past couple of years, I have been choosing one word in the beginning of the year. That one word has been my guide, goal and inspiration for that year. In 2017 I chose LISTEN. I learned to listen well in a conversation—I listened to what other people are saying. I learned to listen to myself and get tuned to what I need and want; I learned to listen to that inner voice, that still small voice inside of me which usually is prompting of the Holy Spirit; I learned to listen to not only what people say but listen to what they don’t say. 2017 was a great year of listening. “Listen” was my word in 2017 and “COURAGE” is my word for the current year 2018. 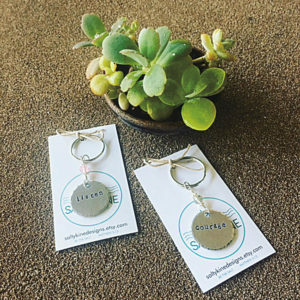 I got these keychains at Salty Kine Designs to help keep myself inspired in this yearly word endeavor. In 2018 I chose COURAGE. It is this year that I am braving the wilderness. It is this year that I am becoming brave in sharing who I am. Having courage as my one word that enabled me to do things I would usually avoid doing. It’s been a great year so far and I only have less than a month to finish strong with courage. Now that 2019 is just around the corner I need to decide what my one word will be for the coming year. I am leaning towards the word TRANSFORM. Transform means to make a thorough or dramatic change in the form, appearance, or character of. I am thinking of transformation in terms of my physical body, my spiritual being, my work, my attitude and more. There are many areas in my life that needs transformation. Yeah, my one word for 2019 is definitely TRANSFORM. Do you also choose a word to guide you through the year? If not, maybe the year 2019 is the year for you to start choosing a word. Let us know what your chosen word is. It would be wonderful to hear from you.